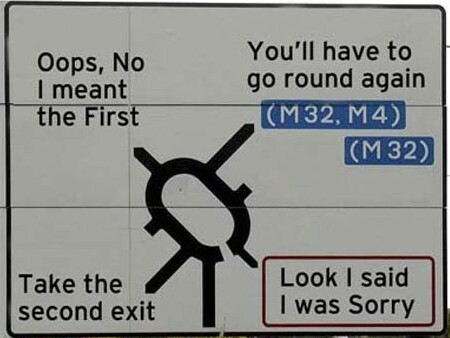 So, I was driving through Birmingham during rush hour and things were going quite well until I heard my Sat Nav say ‘Ahead, keep left and then stay in the right hand lane’. Confused by these instructions I looked ahead at the 4 or 5 lane choices in front of me. I knew I needed to take the A38, but bizarrely, the sign with the lanes marked didn’t mention the A38. In the end I applied some common sense and held the middle lane and in so doing I avoided the lanes that were filtering left and right which is what I think that the Sat Nav was trying to warn me about. When we are overstretched, we can try to make decisions that are important without stopping to consider them properly. Unless we can make time to consider, reflect and pray then we will undoubtedly make some bad choices and so we need to make time to look for and to find God’s guidance. Ultimately, the thing that kept me from going wrong in Birmingham was that I knew where I was going and what the bigger picture was. Sometimes we have to make decisions under pressure, but if we have a clear idea about who we are then we are more likely to make good choices. Jesus promised that God, the Holy Spirit would guide us through life. I don’t believe that this guidance is just functional, eg do this, don’t do that, but that it is also about us discovering and becoming the person who God made us to be. Rather than being pressured by others into who we become, we should be open to God’s presence working within us re-moulding us. So, don’t try to stay left and keep right at the same time, look to God instead and he will lead you through. This entry was posted in Being honest about our faith, Faith, God is with us, Holy Spirit, Life experiences and tagged don't let the world squeeze you into it's mould, God guiding us, I'm me who are you, listen to the Spirit, listening to God, romans 12 2, sat nav, satnav, the Spirit will guide us into all truth, who am I. Bookmark the permalink.